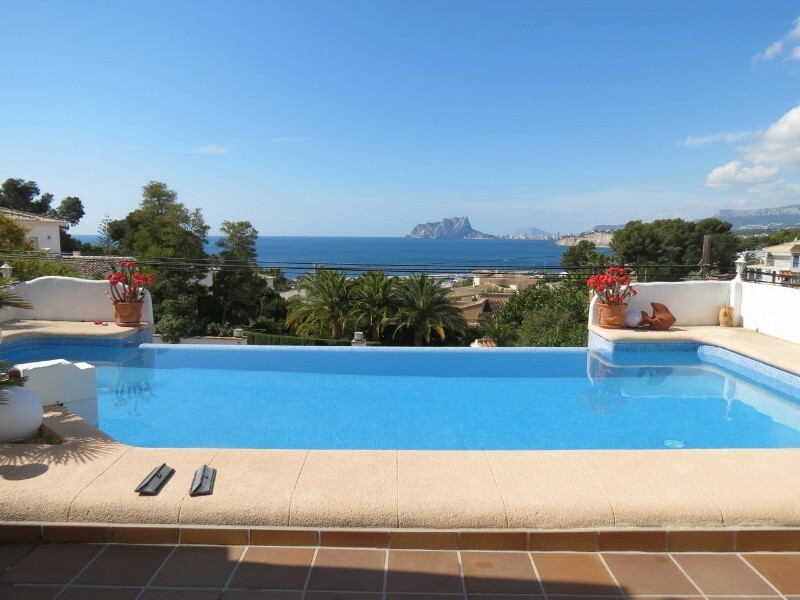 Beautiful Villa for sale in Moraira Ibizan-style luxury. 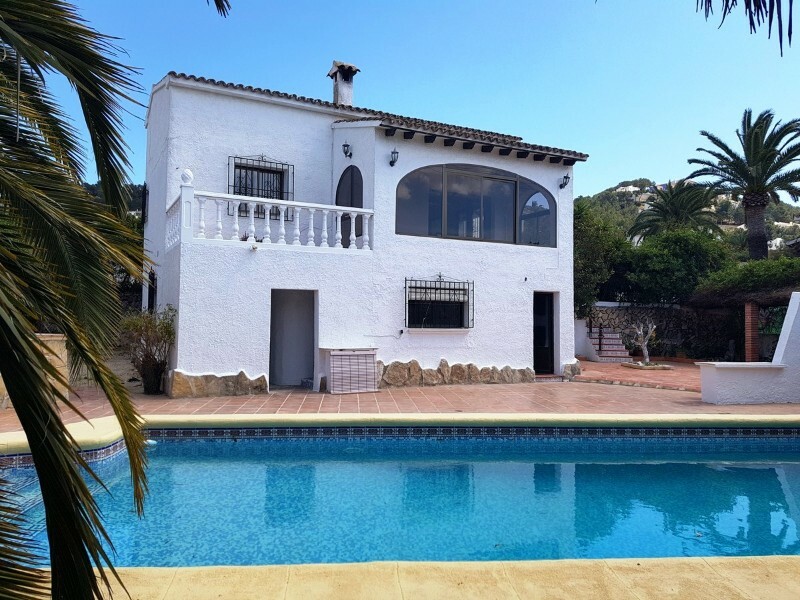 It is located in one of the most desirable residential areas in the Costa Blanca: El Andragó - Moraira. The old town of Moraira and its enviable pristine beaches are just 1 kilometre away. This beachfront property offers beautiful views of the Mediterranean Sea. On the main floor we have a bedroom with bathroom in suite, from here we access the spacious and bright living room, dining room and large open kitchen with direct access to a spectacular terrace with swimming pool. On the upper floor are located a firm that could be converted into a different room. The first floor has 3 double bedrooms and 2 bathrooms. The spacious terraces, covered and not covered, you can enjoy healthy Mediterranean climate 365 days a year.